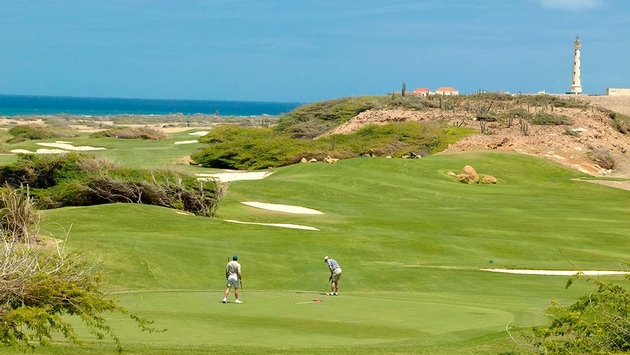 Aruba’s Divi Village Golf & Beach Resort is offering five-night and seven-night packages that feature daily rounds at The Links at Divi, a nine-hole course with ocean views and lagoon-side play. Seven-night packages start at $869 per person and include daily breakfast and five rounds of golf. The five-night package starts at $669 per person. Additional rounds are $29. Club and shoe rentals per day are $35 and $5, respectively. Tee times can be booked online.